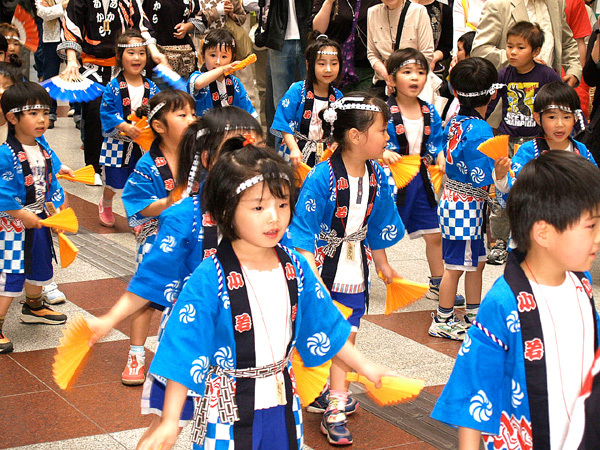 One of the things I have always liked about Japanese festivals is their inclusive nature. 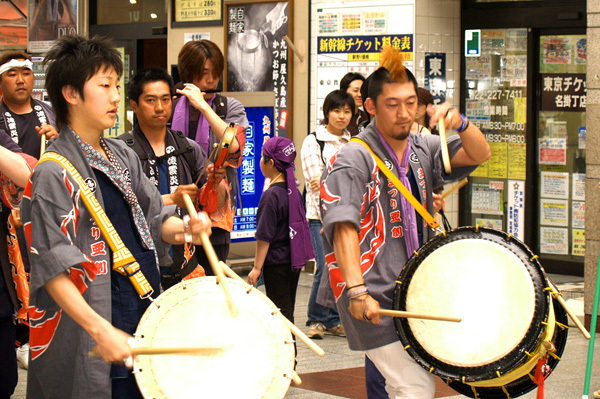 Many people from all walks of life participate in festival performances not just professional entertainers. Sometimes it seems as though nearly half a city is participating in these festivals. 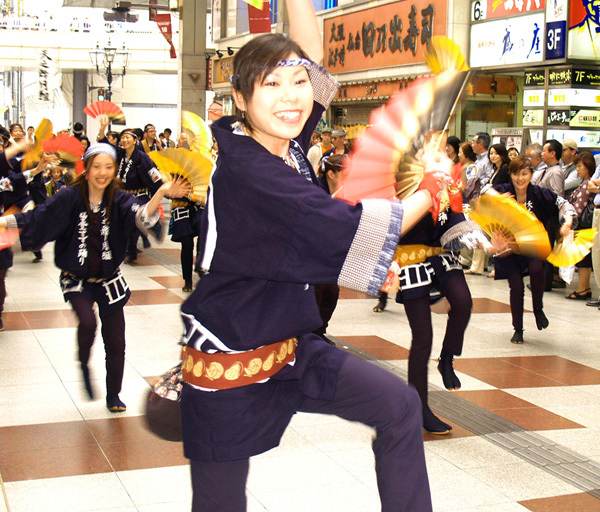 Even foreign residents are often invited to join in with their local community festivities. 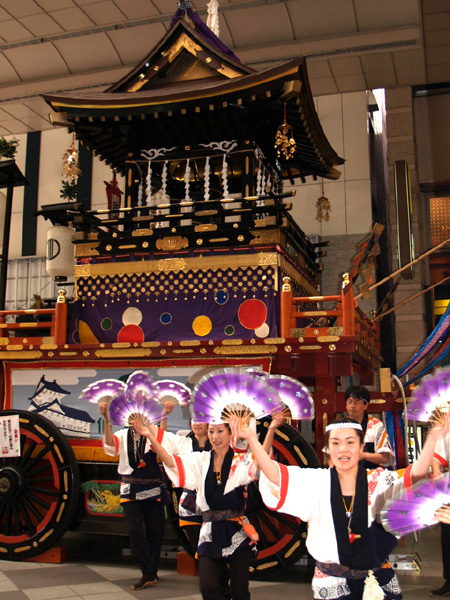 Participation can range from folk dancing, singing, demonstrating martial arts, or carrying portable shrines known as a mikoshi. 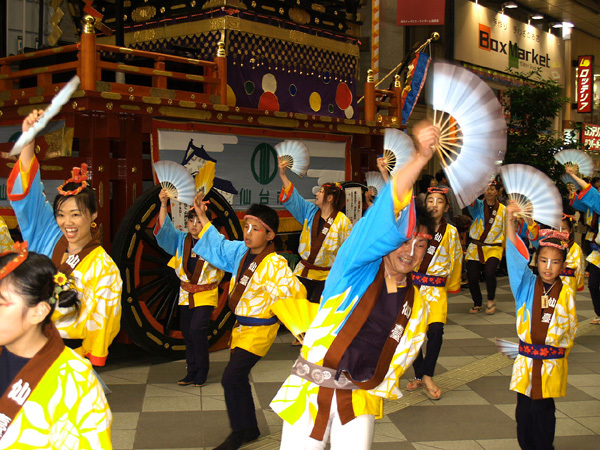 In the northern city of Sendai, the Aoba Festival celebrates the anniversary of the death of the founder of the city, Date Masamune (1567-1636). Date was a warlord who fought and survived during Japan's Warring States Period. In the peace that followed he founded the city of Sendai. 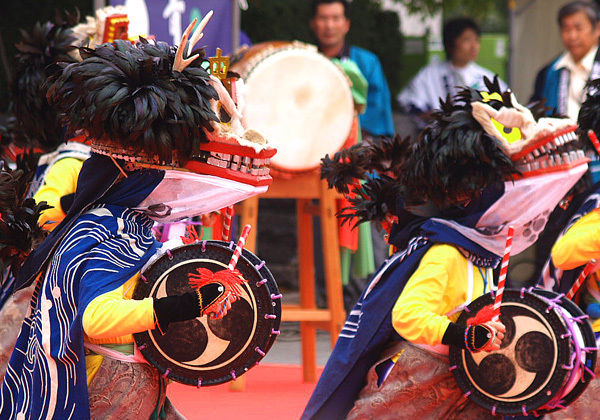 The Aoba Festival has all the trappings of typical Japanese festivals - decorative floats, armor-wearing samurai processions, shrine parades, taiko drumming, and dancing performances. 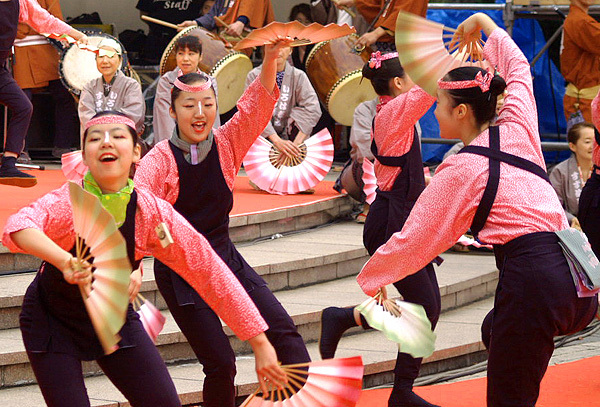 Unfortunately, I only caught one day of this three-day festival but what caught my attention the most was the hundreds of locals performing fan dances in large groups. People of all ages were participating from the very young to the very old. Even junior high and high school students took part which surprised me as back home that age group is generally "too cool" to be part of a community event. 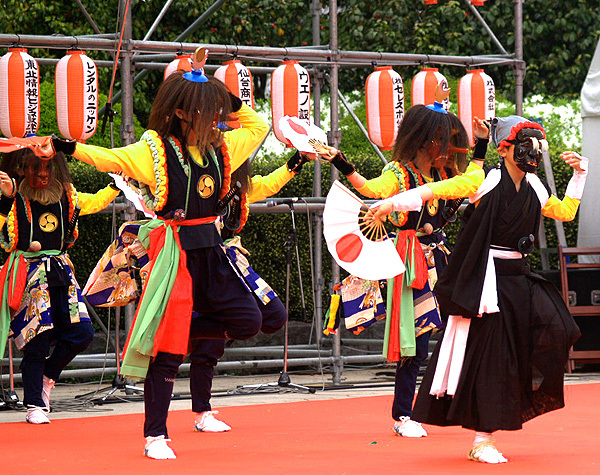 The most commonly performed dance at the Aoba Festival is a fan dance which is a local Sendai tradition going back 400 years. Date ordained a castle to be built in Sendai in the Aoba district. 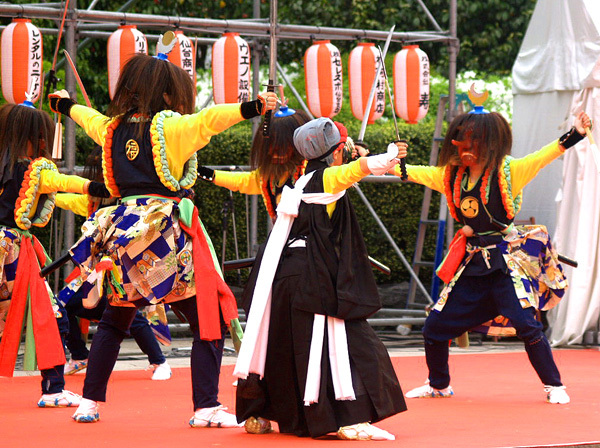 His stone masons are said to have created a special dance known as the Suzume Odori. 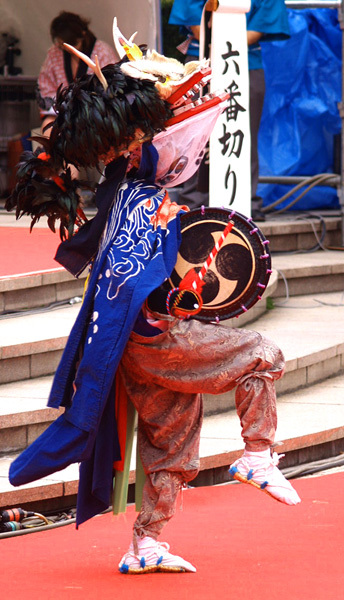 Suzume means the Sparrow's Dance. 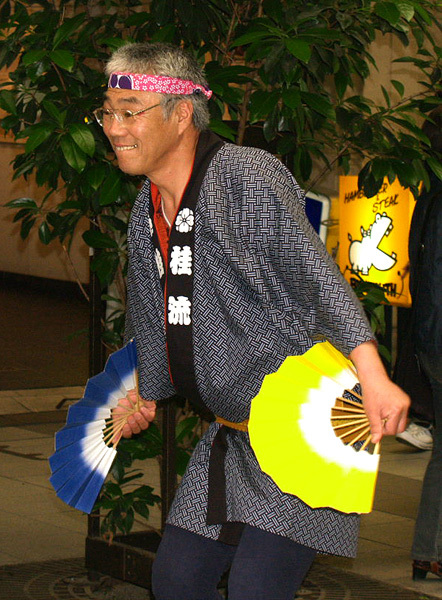 Dancers mimic the movements of sparrows with their fans. The Sparrow incidentally is also the Date Family crest. 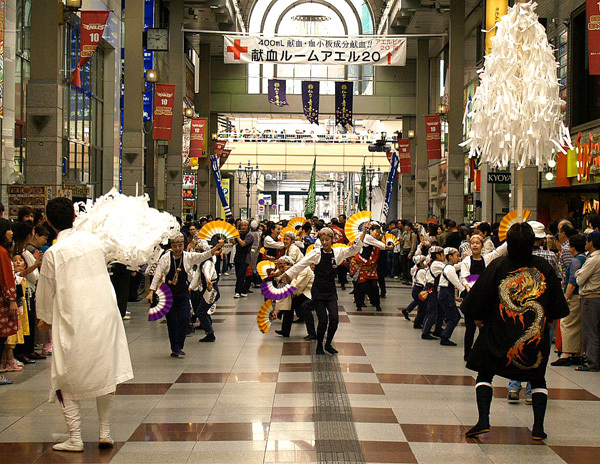 Group after group of Suzume Fan Dancers parade through Sendia's shopping district giving shoppers a show. Children and grandparents alike show off their dancing skills. Granted, the timing of some of the younger ones is a bit off but no one in audience really minds. 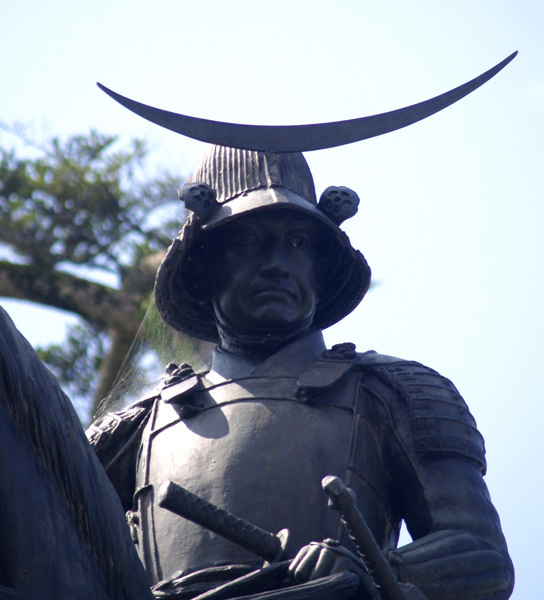 Date Masamune was a warlord of the Sengoku Period. This was an age of warring provinces where lords great and small struggled to expand or defend their territories. In an age of fighters, Date was one of the toughest. He survived small pox when he was young at the cost of one of his eyes. His mother spurned him and lavished her affection on his younger brother whom he was later forced to kill to preserve peace. His father was betrayed and murdered. In his lifetime of war, though, Date witnessed the unification of the country under three successful warlords from the middle area of Japan. He was clever enough to see which way the wind was blowing and offer allegiance to Toyotomi Hideyoshi, one of the great unifying lords, in 1590. This was when Toyotomi was mopping up the last resistance to his control. Still even with Toyotomi's unquestionable control of the nation, Date dared to refuse the initial summons and later delayed again Toyotomi's second summons to offer submission. Date expected death but his fearless candor impressed Toyotomi that nothing came of his disobedience. Date later served in Toyotomi's disasterous Korean campaigns. After Toyotomi's death, Date sided with Tokogawa Ieyasu who eventually became Shogun and subsequently the ruler of all Japan. 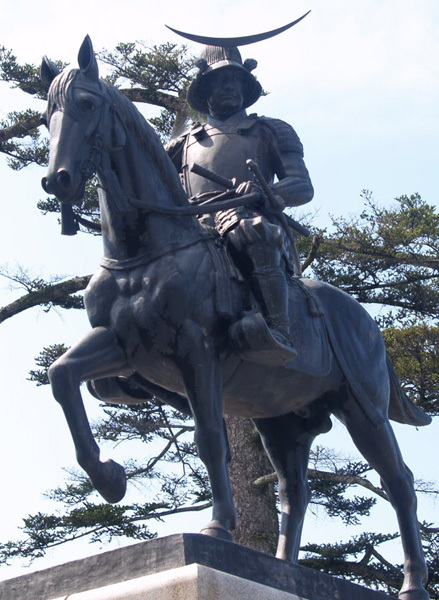 Date was awarded the lands around Sendai becoming one of Japan's strongest lords. 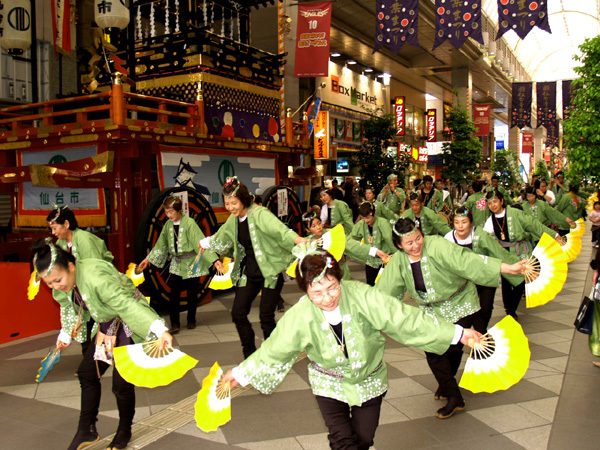 He turned the fishing village of Sendai into a thriving capital. Though a warrior, Date was farsighted and encouraged dealings with other nations far from Japan -- Europe to be exact, sending an envoy to Italy. Unfortunately, his early attempts at globalization came at a time when the rulers of Japan were closing its doors. He was forced to curtail further attempts at international trade while banning Christianity which had made inroads into his domain. Still despite these setbacks, Date proved himself a capable administrator and a benevolent leader to his people. It's small wonder that the descendents of his people still celebrate him to this day. A native Tennesseean, David M. Weber is currently at the grammatical grindstone cranking out gerunds, dangling modifiers and perfecting tenses as an English teacher in Japan. In his travels, he has hiked the Inca Trail, been mugged in Mexico City, broke his leg in Switzerland, attempted to bike through Mexico and failed, climbed Pyramids in Egypt and Mexico, drank great quantities of beer at Oktoberfest and gambled at Monte Carlo. How worried are you about the H1N1 influenza virus? * Vote to see the result.